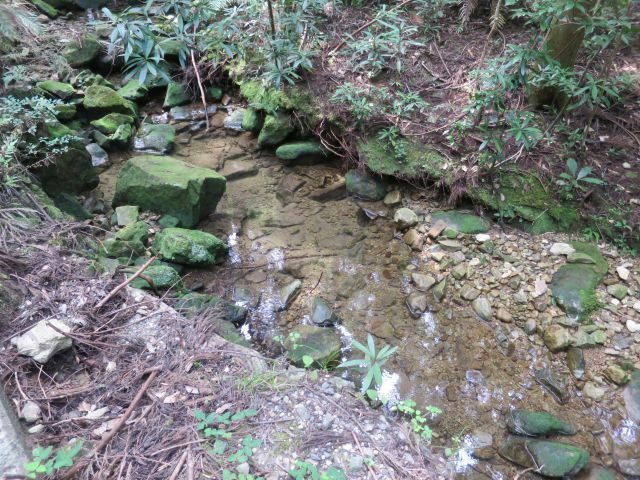 The hot days continue. 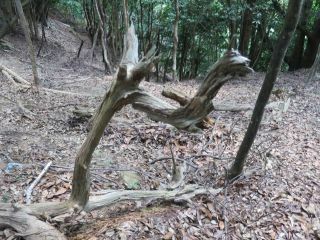 The summer heat in this year is abnormal. 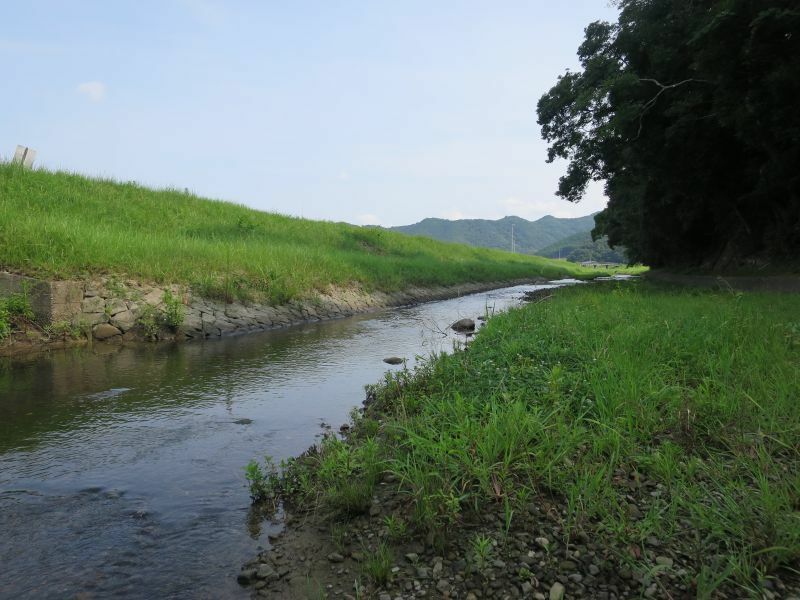 Recorded 37～３９degrees Celsius in various places and many people became heat stroke patients. 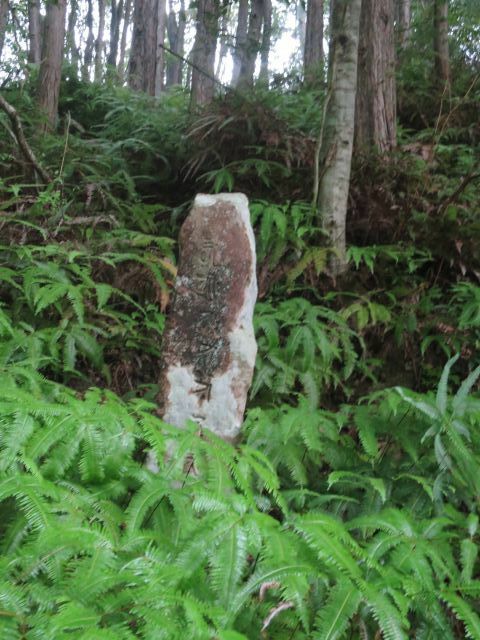 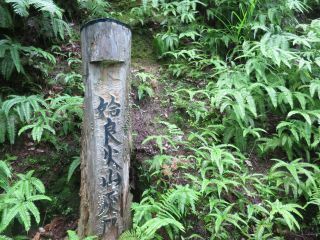 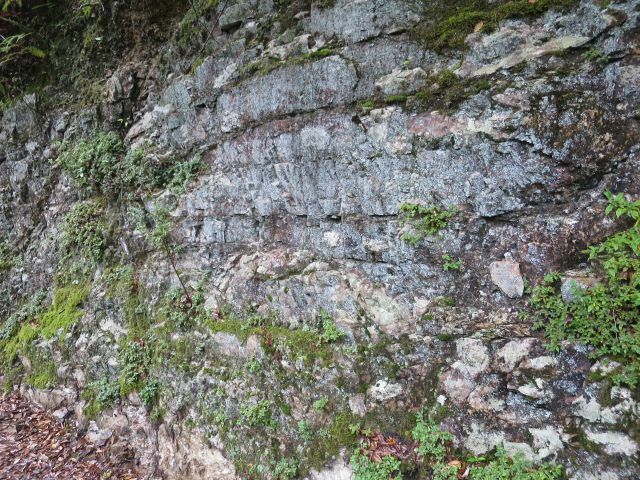 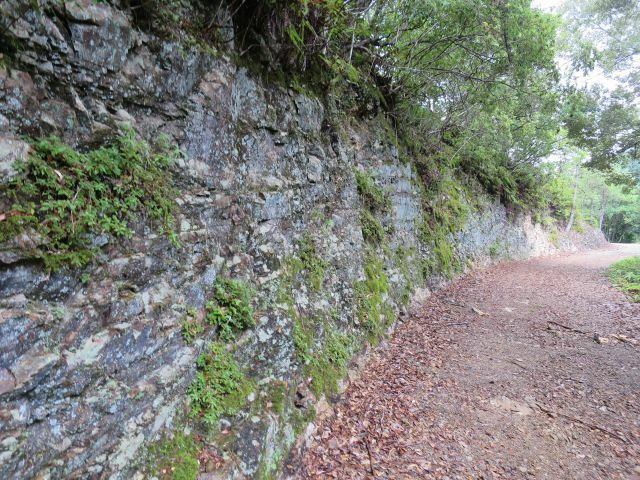 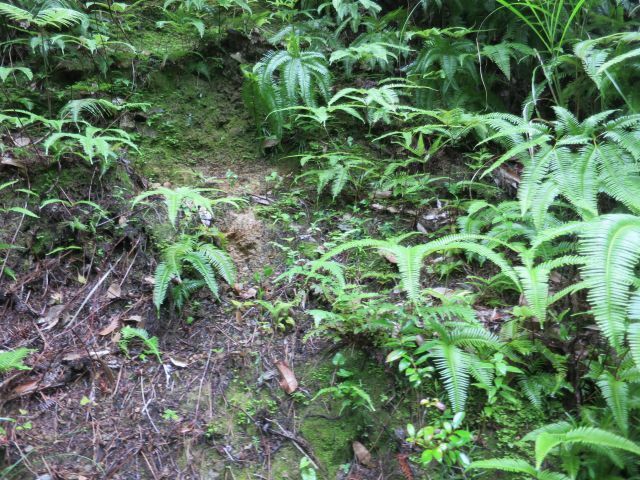 On Thursday, 26th six members of KIGA walked to Atagi beyond Tonda-zaka(slope) in Kumano Kodo(ancient road to Kumano). 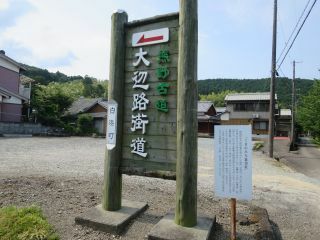 Let's go to east from kii Tonda station, cross the Tonda-bashi(bridge). 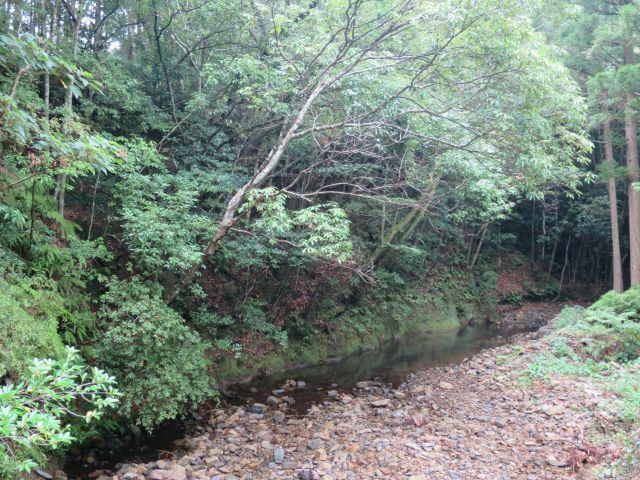 Turn to right and walking along the ancient road parallel to line 42, you will see the Takase River. 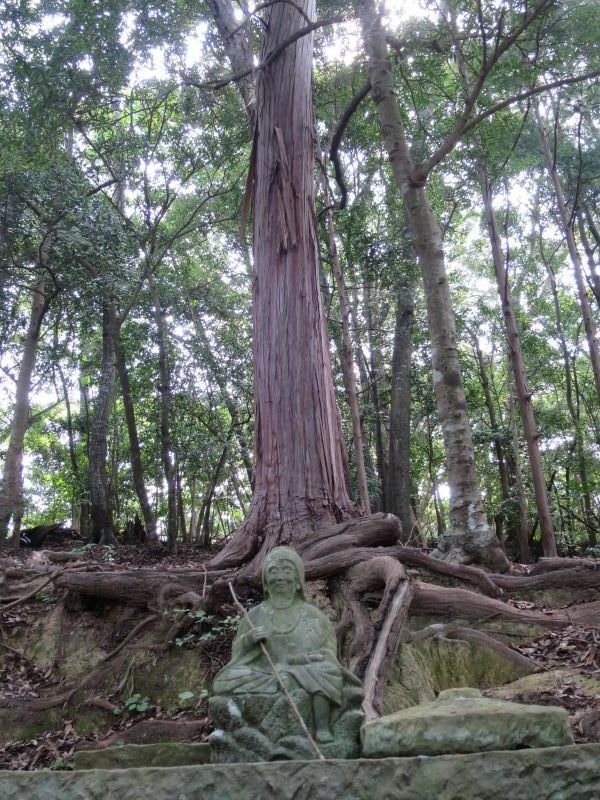 If you turn to right, you will go to Sodoji temple, as you turn to left, Asuka Jinjya (shrine) is built there. 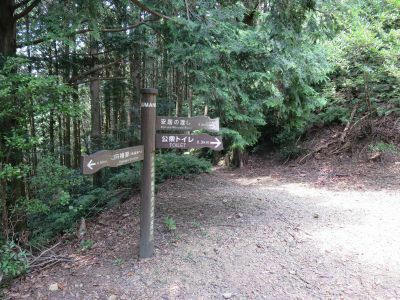 First of all, will you go to Asuka Shrine? 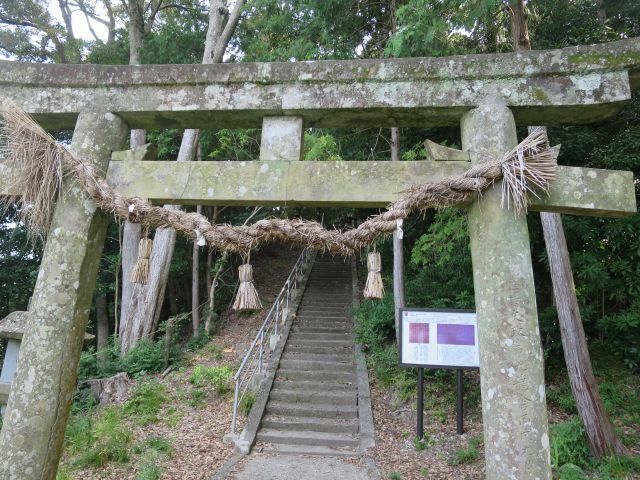 飛鳥神社の鳥居です　This is Torii Gate to Asuka Shrine. 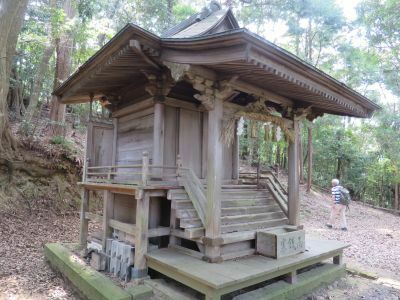 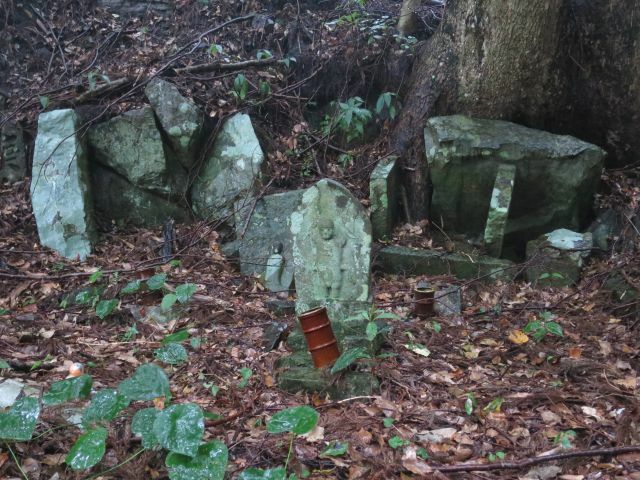 As you go up the stone steps, there is a small shrine. 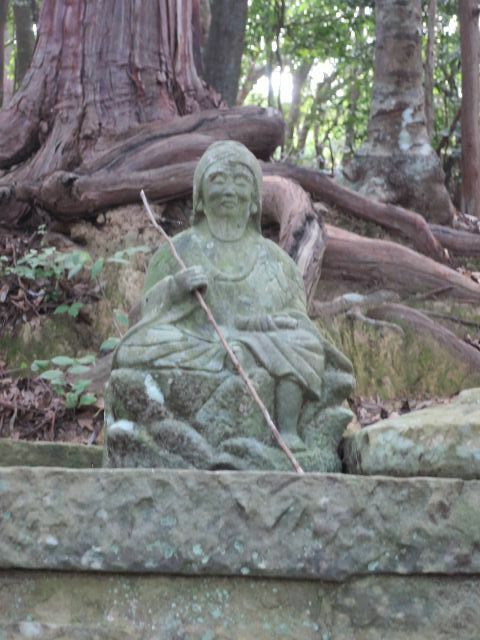 There is a stone statue on the right side of the Shrine. 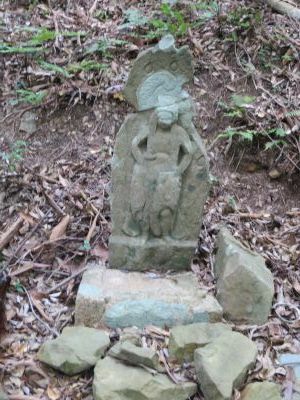 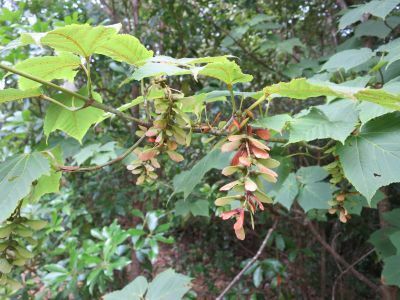 It seems En-no-gyoujya(en-no-ozunu). 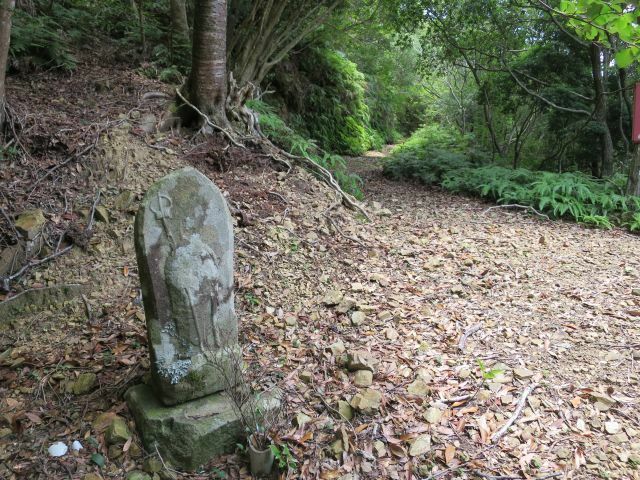 Once, Kohechi Road was a place for the Buddhist priests who train themselves by enduring ascetic practices. 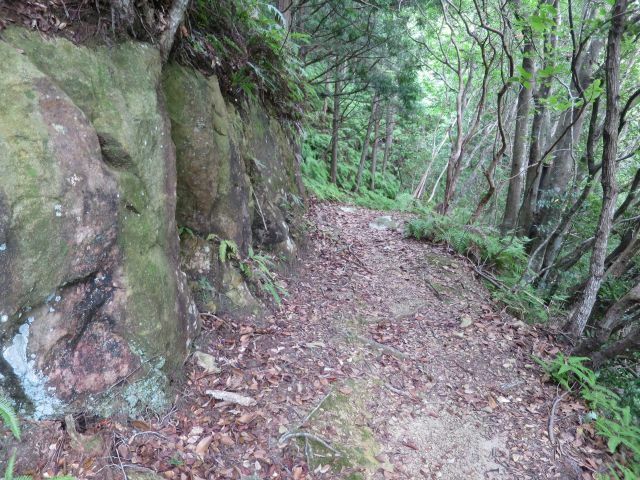 Ohechi route is a road along the coast tying Tanabe and Hamanomiya(Nachikatuura-cho), which is about 94km away. 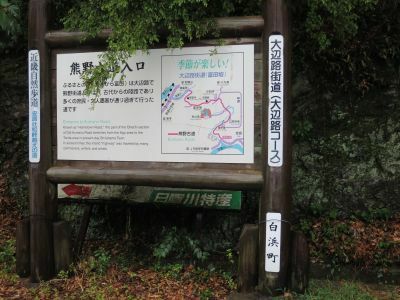 The road join the Nakahechi route that passed through the mountains at Hamanomiya, and further along the coast, cross the Kumano River from Shingu, Continue to Ise Road. 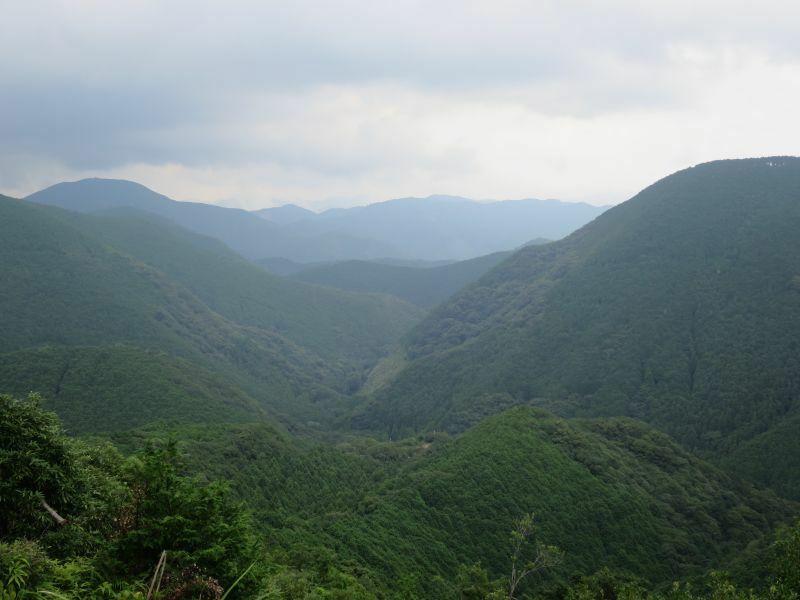 Ohechi is a magnificent way that goes round the Kii Peninsula. 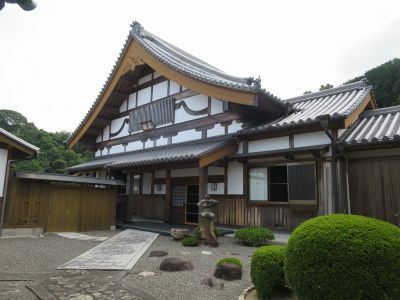 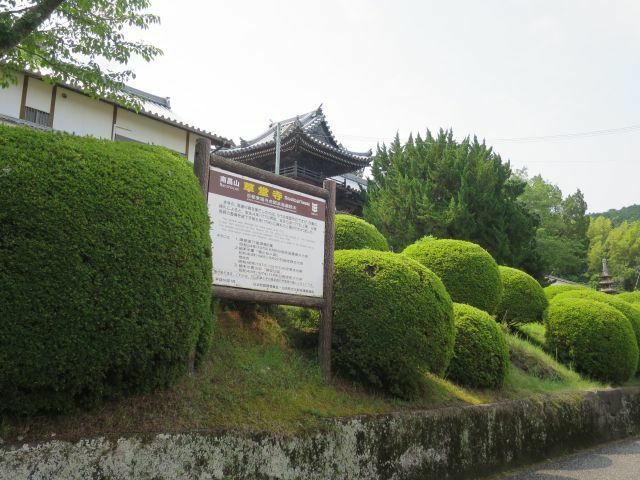 From JR Tonda station, you pass Tonda bridge and walk south for 1.5km, you come to Sodoji-temple. 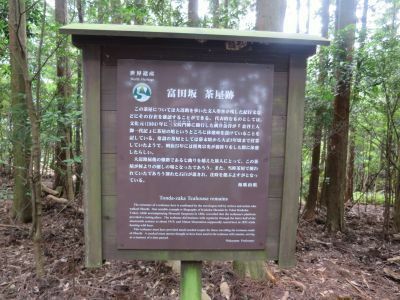 This is an entrance of Tonda-saka (slope) which was additionally registered as World Heritage in 2017. 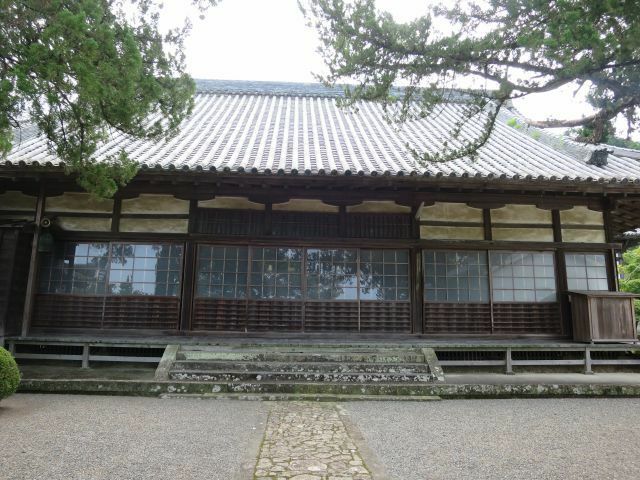 The temple is also called as Rosetsu-temple, because here are some paintings painted by Rosetsu and Okyo who were very famous painters in Edo era and those paintings are designated as Japanese important cultural property. 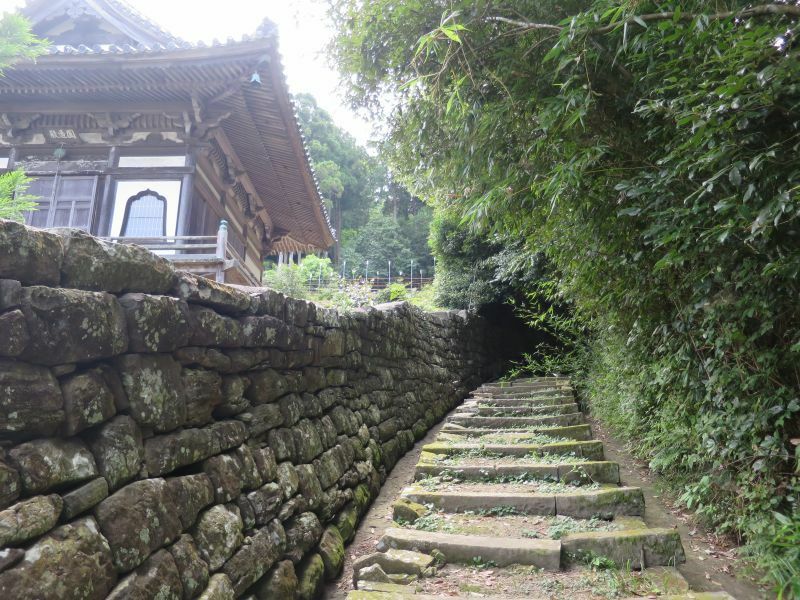 When you see the temple , you will be surprised to see spectacular stone walls which are like ones of a castle. 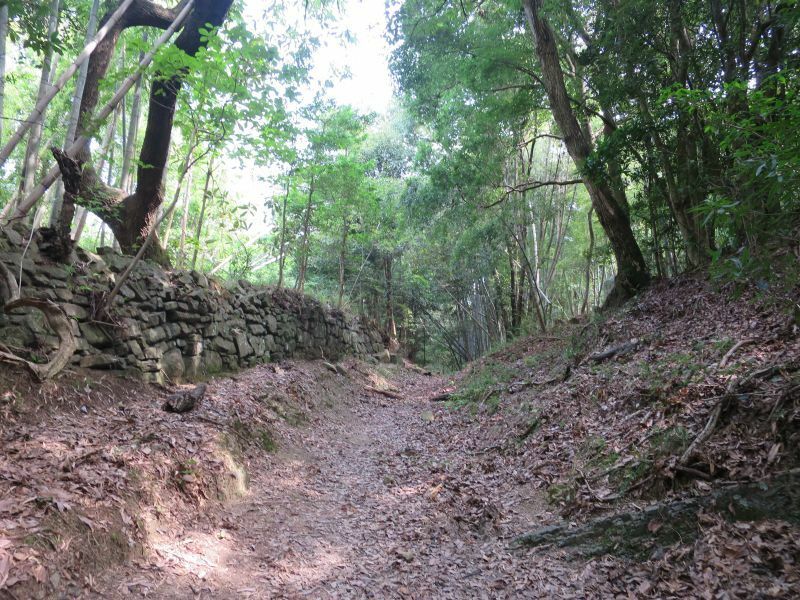 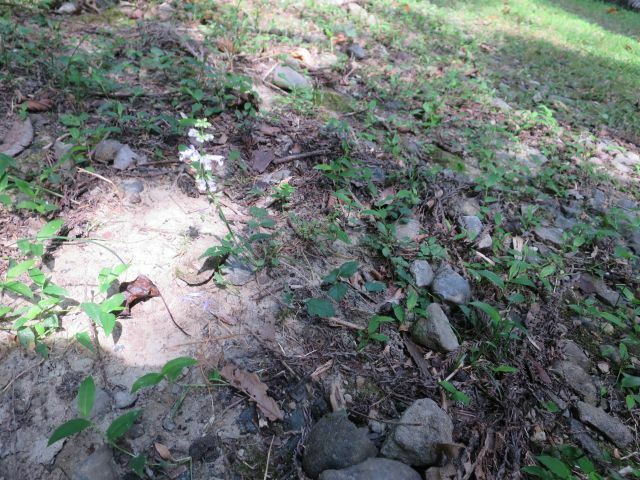 The Tonda-saka path starts at the steps beside stone wall like castle bank. 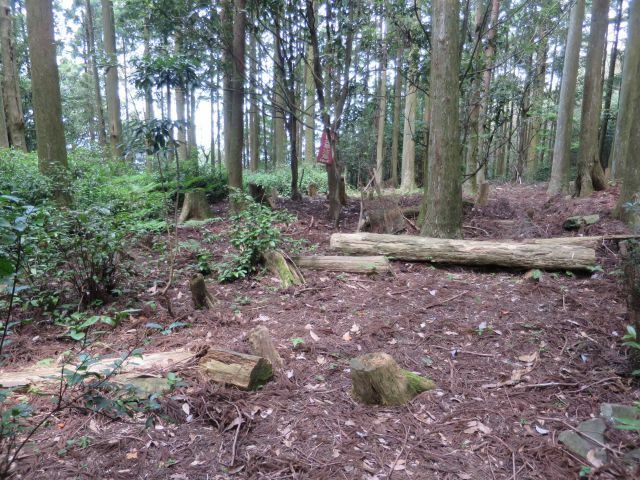 一里松あと There was a mound of the mile pine tree, Ichiri-matsu. 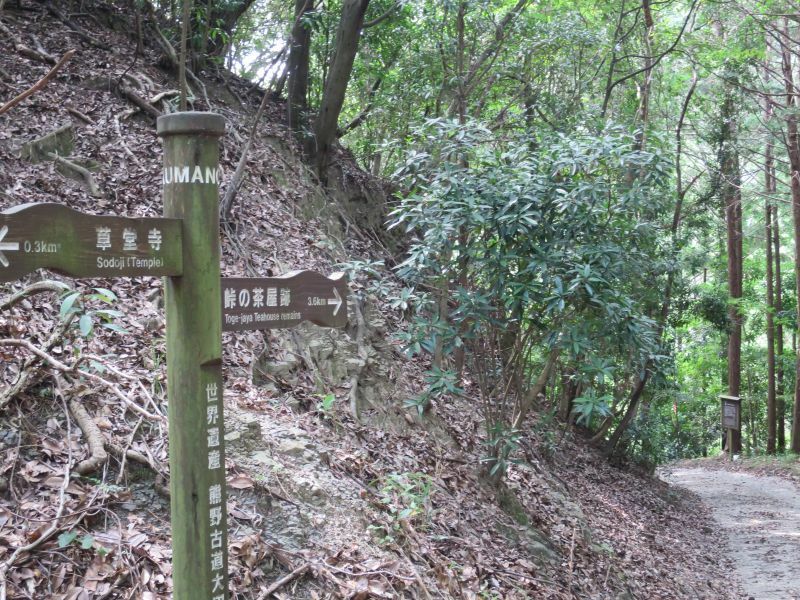 After a short uphill walk, a plain path about 20 minutes walk, then another uphill walk called Seven Winding paths. 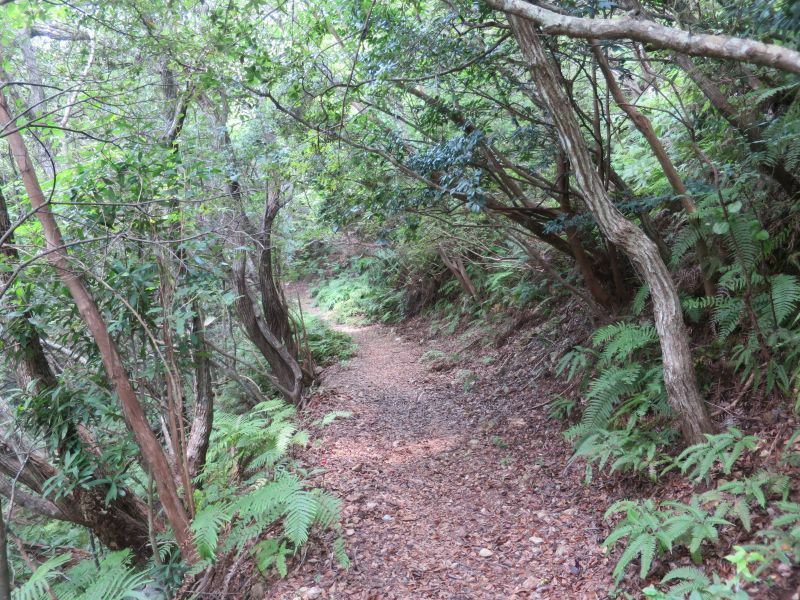 Sakurajima & Aira volcano ash layer: From Tondazaka, going down the forest road along the river toward "Ago no watashi"
which is a tributary of Hikigawa river . 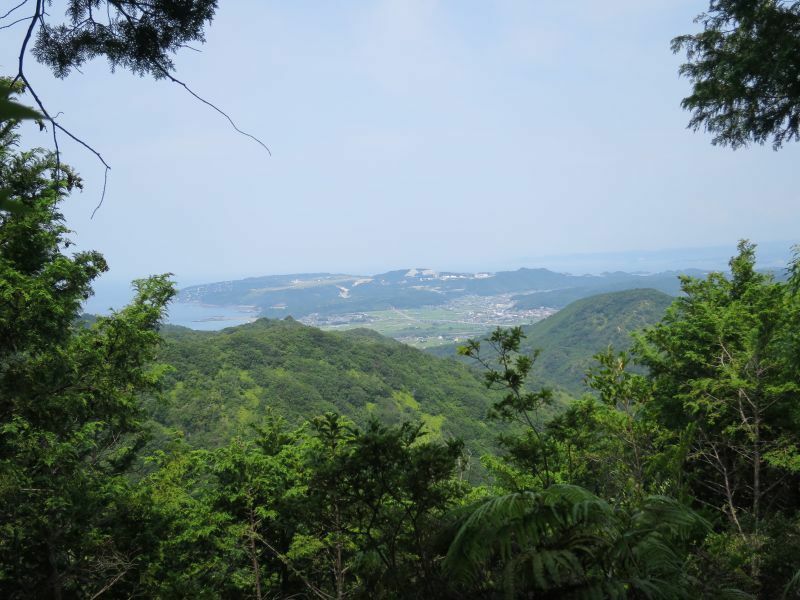 The Aira volcanic ash layer from Sakurajima in Kyushu , southern part of Japan can be seen. 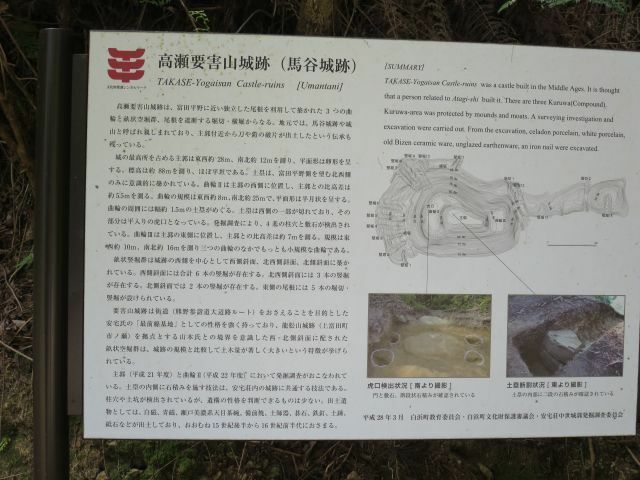 There're lots of hot springs in Kii peninsula , but strange to say, there's no volcano. 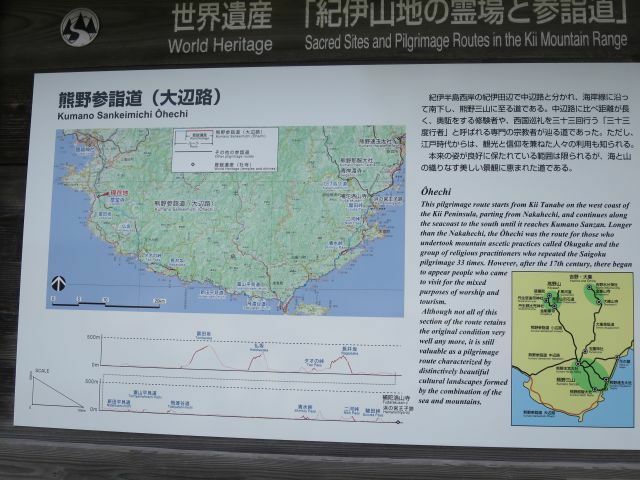 Sakurajima is about 500 kms away from here.